The premium small displacement bike market continues to grow with new arrivals such as Benelli’s TK502 and Leoncino Scrambler (though they’re unlikely to get to Canada) and Ducati’s Scrambler “Sixty2”, which offers a Scrambler in 399 cc format. But perhaps the small bike that was most anticipated was BMW’s G310R. The G310R is BMW’s first ever low cost, entry level motorcycle with a small capacity, and a joint venture with India’s TVS, it’s been reported on and hyped in the media for the past two years. As with Ducati’s Scrambler last year, and the KTM 390 family a year before that, the G310R has been presented as a major step in the BMW Motorrad plan to grow volume down market, and introduce newcomers to the BMW motorcycle experience. This week’s Three4Three takes a look at the significance of this change in direction for the Bavarian brand with Michael Uhlarik (columnist) and Rob Harris (editor) representing CMG. We also have an outside guest to add to the mêlée this week; Warren Milner, ex-head of Honda Canada motorcycle division and the guy who can be credited with establishing the small bike genre in North America by taking the bold decision to bring in the Honda CBR125R back in 2007. Question : What is BMW’s plan? Will a low cost, small capacity motorcycle take away from the prestige of the BMW brand? Will the G310R act as a gateway motorcycle to future loyal customers or take away from the brand’s prestige? RH: I remember chatting with some guys who were deep in the european motorcycle industry last year while I was in Milan for the EICMA show and they were all shocked at what Ducati had done with the Scrambler. Why would a brand whose whole raison d’etre is prestige come up with a budget bike? Wouldn’t that adversely affect the brand and make it harder to sell the bigger bike? I think exactly the same could be said for BMW and the G310R but maybe more so, as it seems to be an even greater leap away from the main fare that BMW is currently serving up. Maybe a mini-GS may have made a better bridge between the two worlds. MU: All of the legacy brands (the Europeans plus Harley-Davidson) are reaching down market to harvest the huge sales potential of the growing Asian middle class, as well as new, younger buyers in North America. It is a phenomenon called “masstige” (mass prestige) and it’s everywhere from underwear to cars. You pay disproportionately more for a basic item because of the brand, which makes the consumer feel special while adding lots of profit to the manufacturer. It works. 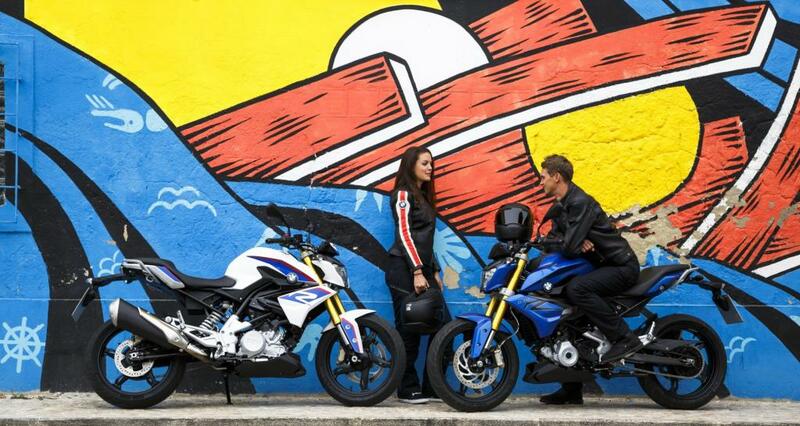 The G310R is BMW’s ‘gateway’ to future, loyal customers. WM: I don’t think the G310R will take away from the prestige of the brand, BMW fans are fiercely loyal and seem to be proud of whatever actions the company takes. Buyers of the G310R may be surprised to find out however that they are looked down upon by fellow BMW riders. Among the prestige brands there is a certain snobbery that suggests that you need to have a large displacement model to have a “real” example of the brand. Dealers are as guilty of this as riders and BMW will have to train dealers to respect these buyers for the concept to work. Question : Given the significance of the G310R to BMW’s ambitions, and compared to the buzz surrounding the Ducati Scrambler and KTM 390 debuts, early reception in the media appears quite modest. Can any significance be tied to this, or is it too early to tell? BMW has tried and failed to introduce smaller bikes before. Pictured above is the ill-fated GS650 XCountry. MU : Too early to tell. Media is bought, and for sure Ducati paid handsomely for the outpouring of attention that the Scrambler got. BMW has certainly got its A-game on lately when it comes to brand development, I imagine that they are waiting for spring and after press tests to launch an all-out charm offensive, particularly in the non-motorcycle, lifestyle media. Expect lots of commercials of beautiful hipsters riding on wet night-time streets in the pages of Monocle and Fast Company. RH: I’m a little gobsmacked by the media silence following the unveiling. After all, the G310R got the usual barrage of media teasers in the run up but then it was unveiled … silence. 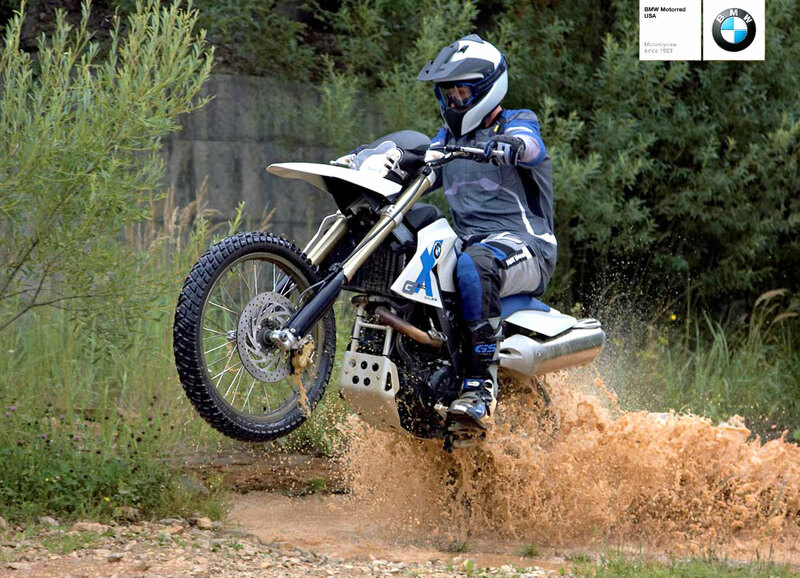 I would hope that it has a plan for this bike as it is a significant model for them, but even the mighty BMW has been known to make the occasional mistake (the XChallenge, XCountry and XMoto series promised much but quickly disappeared for example). But as Michael pointed out, it’s early days and there’s still plenty of time to push it into the mind of the would-be motorcyclist. WM: I agree that there will be a stronger push come spring but there is one important thing to remember; small displacement motorcycles (and the necessarily low SRPs that they require) generate very little profit for the dealer or distributor. So there is precious little money to work with and these models are often sold as lost leaders in the hope that they will generate future sales of larger more profitable models. It will depend on how committed BMW are to this investment in their future. Question : How committed will BMW be to this model? This is a whole new buyer with significantly different expectations, will BMW really be willing to make the changes in both their own and their dealers practices to ensure the G310R’s success. The Honda CBR125R was launched in Canada with extensive staff and dealer training to ensure that they understood the potential customer. WM: I think BMW will be surprised how high the expectations of today’s younger buyers are. Inexperienced new riders expect a lot of hand holding and have lots of questions to be answered requiring lots of attention from dealers who are making minimal profit to start with. More importantly these customers will expect that parts and service will be readily available at reasonable cost and this is not something typically associated with the brand. Perhaps this explains why BMW have struggled in the past with lower end models. 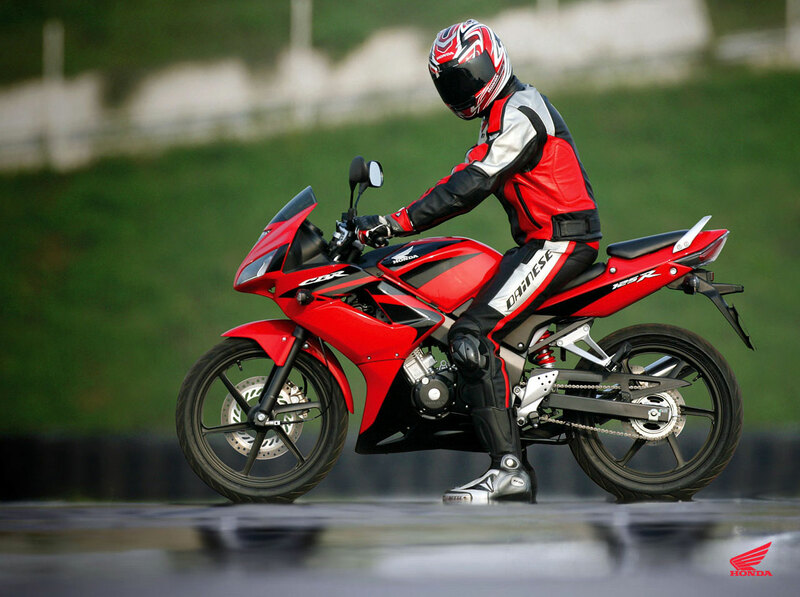 When Honda launched the CBR125R part of the strategy was an extensive training program for internal staff and dealers to address these issues. Perhaps BMW will need a similar approach. MU: I have to assume that BMW will remain committed because having been developed as a joint venture with another manufacturer, the production plan involves other invested parties. But BMW’s history with smaller motorcycles is terrible. When they tried to diversify their best selling F650 platform in 2000’s with the F650CS “Scarver”, the XCountry and XMoto, all were unmitigated failures in the marketplace. In Europe where I lived at the time, they were being sold in BMW car dealerships and marketed almost exclusively outside the motorcycle media to first time buyers. Both newcomers and veteran bikers balked at the stratospheric pricing, forgettable styling and lack of dealer interest. The company’s G450 enduro did even worse. Managing dealers, newcomers and established customers will definitely be the biggest challenge for them. RH: This is a whole new world for BMW so I guess anything can happen. I’m sure they have a plan for the bike, but as Warren pointed out, it’s a different customer type, so they’re going to have to have a different plan. Also, in the nine years since the CBR125R hit Canada, the small-bike market has become pretty saturated, so it’s not like they will have room for error. My prediction is that the G310R will have a hard time in the Canadian market but may do well in emerging economies, where the smaller bike rules and there’s a richer buyer that may be swayed by the brand’s prestige. I was going to buy a 2017 Duke 390.My dealer also has the BMW.The BMW screams quality. The difference in quality is night and day.The BMW G310 r has way better fit and finish. I mean a lot. I still was going with the KTM but the BMW was 600 bucks less. And so far I have not read about any issues with the BMW where the KTM still has just one too many for me to pass up the BMW. I don’t think the snobbery is about displacement; to me its more about “is this really a BMW?” You know? Who made it? Most Dealerships ( Auto/Motorcycle ) With the exception of a few individuals have the wrong staff and wont even be able to explain why the oil change and cost to maintain is the same as a 1200GS LC for a low capacity entry level bike??? This says more about the motorcycle industry than the rest of the article, and says more about the (zero) prospects for this bike. Whether it was 1977 and an XR75, or 2015 and a safety on a Yamaha XT225, no Honda dealer I’ve ever been to has had an issue with respecting what the customer wants. And as questionable as their attempt to launch an “elite” form of dealer was, even those “speciall” dealerships were more than accommodating. Same is generally my experience at Yamaha and Suzuki dealerships. Strange thing is, I’ve had two great BMW experiences when unexpected breakdowns occurred – in Germany, and in Tennessee. The former was a car dealer who loaned tools and space for me to repair the signal flasher unit on a rented bike; more than helpful, down to the hand cleaner and handshake at the end. In Tennessee they took the brake lines off a customer’s bike to get my friend’s K100 back on the road in an hour or so. Experiences on Canadian BMW dealerships’ sales floors have not been so happy, to the point that they aren’t even a prospect anymore. Selling xc at BMW car dealers probably was the only option as small town BMW dealers are few. The only way bike shops survive is by sled and atv sales, which BMW doesn’t have. The dealers I mentioned were not small towns, it was Barcelona, Milan, Berlin… cities the size of Montreal with dozens of motorcycle shops, literally ten times the motorcycle populations of any cities in North America. No, BMW just got it wrong. Wrong bikes sold the wrong way to the wrong crowd. I don`t see X series as the best choice to sell in a car dealer , maybe the C1 would have fulfill that role better. This said sad that they didn`t continue with the X series and the C1 , hope the G 310 won`t follow the same path. I own a K1200GT. I would of waited for the G310R but they won’t sell one to me. I bought a CBR125R instead. Thanks to Warren Milner for bringing the CBR 125 in Canada , I needed a bike when I arrived in Canada and I was on a low budget , timing couldn`t be better , bought one and for the price it could not be beaten . If I am not mistaken the 125 and 250 CBR were the best selling bikes in Canada at the time or at least in the top chart. If people could stop slagging small displacement bikes they would probably sell more as some potential buyers will be put down based on their ego not wanting to be seen on something they could get laughed at or not being accepted by the group, not to mention the so important admiration from their peers that society demand. And with all the other issues you mention above it`s not an easy task bringing these bikes to market for the big players and especially the prestige brands although this market seem to be successful and probably more so in emerging markets. As for the G310R I believe it integrate well in BMW`s line up and I hope the potential future sport and adventure versions will join the roadster. Yes I know BMW purists will frown upon them and won`t take the time or make the effort to consider how these new budget bikes can improve the market and motorcycling in general. Same goes for brands like Ducati, H-D and the like.
. “More importantly these customers will expect that parts and service will be readily available at reasonable cost and this is not something typically associated with the brand.” Warren nailed it. When Honda brought the CBR125R and 250 into Canada it proved to be absolutely bulletproof and parts were CHEAP. If BMW doesn’t follow that lead (and past history says it won’t) then this machine will be bolted to the dealers’ floors much like HDs Street 500 and 750. Its the internet age kiddies, it won’t take long to develop a reputation- good OR bad.